Remote Access by Home OwnerWe used to have our neighbor get our mail and turn on and off our lights; this would give the illusion that we were home when in truth we were on vacation. Now most of these tricks can be done with a mobile app. Lights can be turned on and off. Electric saving measures, like turning down the thermostat, can also be carried out using such mobile apps. However, unless your mail is being held at the post office, your neighbor may still be necessary to complete the illusion you’re home when you are not. Through the Internet and web cams or other recording devices, you can monitor specific locations in your house. Some systems only include video recording while other systems include both sound and video monitoring. Pricing is presently moderate, but it continues to decrease on a regular basis as the technology becomes more readily available. With smart phones, you do not need to be tied to a traditional computer to monitor your home remotely. Front doors, bedrooms, and common living areas are three of the most popular places to monitor. When you are not on vacation, many parents like video monitoring to keep an eye on their kids’ after school activities at home. Who said that mobile phone technology is only for home safety when you are away? Keeping a phone on you can help alert authorities quickly should you fall or discover an emergency such as a fire in your home. If you prefer not to keep your phone with you, there are landline type devices that connect to your mobile phone via Bluetooth. This is also an excellent way to keep the telephone technology close at hand when at home. 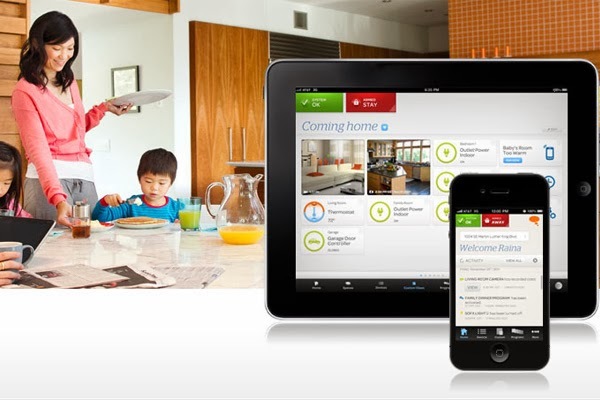 While it is true that home security systems have been around for a few decades, the technological advances have dramatically improved how your home is remotely monitored. One security expert from ADT home security in Elk Grove suggested that if a problem is remotely detected, the authorities are notified immediately. This includes: fire, police, and ambulance notifications. Mobile technology has been able to greatly contribute to response times for emergency personnel.Mobile technology has increased home security greatly. Successful security technology is sure to continue increasing as long as mobile and network technologies reach new climes. Using mobile technology to its full potential is a great way to ensure your possessions and the ones you love are bit safer.